Prosthodontists are accredited specialists in cosmetic dentistry, but more important they provide the right smile. After graduating from dental school, prosthodontists receive three additional years of rigorous specialty training in a university or hospital ADA accredited graduate program. If you are seeking cosmetic, implant or reconstructive dental work, you should see a prosthodontist, because prosthodontics is the only specialty recognized by the ADA that is involved with esthetic and cosmetic dental restorations and implant restorations. None of the other specialties are taught both the form and the function of restorative dentistry. Patients should understand the term ‘Cosmetic Dentist’ is not a designated specialty recognized by the American Dental Association. 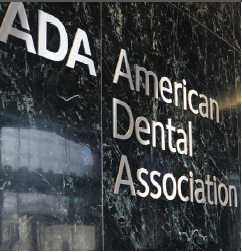 While this term may be very descriptive, it is an attempt by general dentists to get around ADA designated specialties. Prosthodontists are experts in the dynamics and esthetics of a smile, the preservation of a healthy mouth and the science of tooth replacement. Of the 170 thousand dentists in the country only about two (2%) percent are trained prosthodontists. So, when your dentist refers you to a prosthodontist you should know you are in well trained hands. They provide the highest level of dental care being expertly trained in many different clinical disciplines with the anticipation that a working knowledge of various disciplines is necessary to produce optimal results for the patient. The combination of all these various disciplines rest comfortably within the purview of a prosthodontist’s training and expertise. A comprehensive approach by a prosthodontist as the quarterback is the best way to get your inner confidence boosted, your personality improved and the right smile. If you have any questions or concerns please feel free to contact us. Dr. Scheinfeld received her prosthodontics degree from Emory University School of Dentistry in 1988. Sandy Springs | Chamblee: Cosmetic Dentists, what? The trend these days is dentists calling themselves cosmetic dentists, regardless of the fact there is no such specialty in dentistry. To the contrary of this trend, all dentistry is cosmetic. I don’t know anyone who took the ‘ugly’ teeth class in dental school. Regardless, the fact remains that the majority of dentist are general dentist, and marketing themselves as ‘cosmetic dentists’ is an ethics violation of the ADA. Their undergraduate degrees are either a DDS or DMD as result. Dental Public Heath, Oral and Maxillofacial Pathology, Radiology and Surgery, Orthodontics, Endodontics, Pediatric Dentistry, Periodontics, and the least known, but the closest to what would be considered a cosmetic dentist, Prosthodontics. Prosthodontics: (crown, bridge, and implants) A Prosthodontist has a dental specialty license pertaining to the diagnosis, treatment planning, rehabilitation and maintenance of the oral function, comfort, appearance and health of patients with clinical conditions associated with missing or deficient teeth and/or oral and maxillofacial tissues using biocompatible substitutes. Most dentists are not trained prosthodontic graduates of a dental school – rather they take short continuing education and utilize trial and error experience to be able to understand how size, shape, color and symmetry all work together to create what a prosthodontists is trained in their post graduate work. On the other hand, the prosthodontist is trained at a university to create the smile that implements the use of veneers, crowns, bridges and the increasingly more common procedure of dental implants to ensure that the right smile is achieved, both functionally and aesthetically beautiful. If anyone has a specialty in cosmetic dentistry, it would be the prosthodontist. So when you are seriously looking for a cosmetic dentist, look for a prosthodontist. If you are in need of a cosmetic dentist, we are here to serve you. Prosthodontic dentists are with the passage of time gaining popular recognition as patients become more familiar with the advances in dentistry and how they can enhance their everyday lives. They are expert dentists with a post graduate ADA recognized degree centered around a complete knowledge of dentistry, where function and beautification of teeth are combined in the final result. There are a lot of people in this world who just weren’t born with beautiful smiles or for other circumstances ended up with damaged teeth. Some inherited stains from medicines their parents took prior to child birth, while others developed discolorations through the years that make their appearance unattractive whenever they open to either to talk or smile. These people can be helped by dentists who specialize in the cosmetic restorations that provide methods, procedures and plans which ultimately improve their personality as much as it improves their mouth. The first advantage of a prosthodontist is time related. As a result of their training and experience with difficult cases modern techniques take much less time in the beautification of the teeth as compared to older ordinary dentistry. 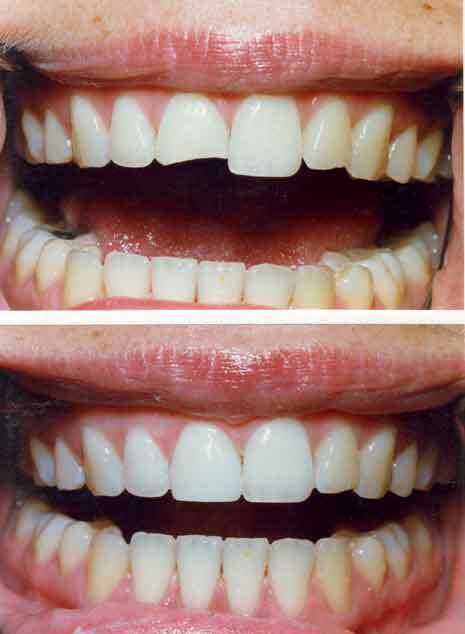 Techniques and procedures as common as in house whitening which takes only couple of hours as opposed to otherwise days of the repeated home bleaching have become fairly common place and routine in the restoration of a smile. Another major change related to teeth are implants. In the past there had been an extensive time period involved in replacing missing teeth. Now, while still a complex procedure there are alternatives that with significant preparation allow for teeth to be implanted in a day and utilized by the patient shortly thereafter. Finally, technology often comes into play with veneers which are made up of a special material and again while technique sensitive are very easy to incorporate into quick and favorable results. The combination of all of these techniques rest comfortably within the purview of a prosthodontist’s training and expertise. A comprehensive approach by a prosthodontist is the best way to get your inner confidence boosted and your personality improved. Prosthodontists are dental specialists certified in tooth restorations such as implants, bridges, crowns, dentures and veneers to give you the best smile possible, more important they provide the right smile. They are ADA accredited specialists in esthetic and cosmetic dentistry. After graduating from dental school with a D.D.S. or equivalent degree, prosthodontists receive three additional years of rigorous specialty training in a university or hospital ADA accredited graduate education program. If you are seeking cosmetic, implant or reconstructive dental work, you should see a prosthodontist, because prosthodontics is the only specialty recognized by the ADA that is involved with esthetic and cosmetic dental restorations and implant restorations. None of the other specialties are taught both the form and the function of restorative dentistry. Patients should understand that terms like ‘Cosmetic Dentist’, ‘Implantologist’ or ‘Implant Specialist’, are not designated specialties recognized by the American Dental Association. While these terms may be very descriptive, they are also terms that attempt to get around ADA designated specialties. Prosthodontists are experts in the dynamics and esthetics of a smile, the preservation of a healthy mouth and the science of tooth replacement. With the passage of time prosthodontic dentists are gaining popular recognition with respect to their qualifications to offer state-of-the-art procedures and techniques as patients become more familiar with the advances in modern dentistry. Of the 170 thousand dentists in the country less than two (2%) percent are trained prosthodontists. So, when your dentist refers you to a prosthodontist you should know you are in well trained hands. Many of those referring specialists think of the prosthodontist as the “conductor” of a dental treatment plan, the professional in the process with the big picture in mind. They usually lead a team of specialists to develop ideal solutions to your dental needs because they are responsible for the final restoration. They provide the highest level of dental care being expertly trained in many different clinical disciplines with the anticipation that a working knowledge of various disciplines is necessary to produce optimal results for the patient. The combination of all these various disciplines rest comfortably within the purview of a prosthodontist’s training and expertise. A comprehensive approach by a prosthodontist as the conductor is the best way to get your inner confidence boosted, your personality improved and the right smile. If you have any questions or concerns please feel free to contact us. Dentist Sandy Springs and Chamblee: How much does tooth bonding cost? It depends. Sounds like a lawyer answer to the question. But it does depend on the type of bonding procedure being performed. Is it to improve the contour of a front tooth, to replace an old filling with a more esthetic restoration or to fill a small cavity? Each procedure involves different resources, therefore different fees. As with all dental fees the service may vary depending on where you live or where your dentist is located or his or her level of training. There is always going to be a range of fees for the same service, depending on the experience of the dentist, materials used, esthetic demands of the procedure and complexity of the treatment. The average cost of cosmetic dental bonding ranges from $250 to $600 per tooth. Most dental insurance plans cover the cost of the bonding, particularly when it is done for functional reasons. The cheapest, does not necessarily mean it is the best. The bonding procedure utilizes a composite resin to restore chipped or broken teeth, fill in gaps and reshape or recolor your smile. Basically, bonding will cover any natural flaws applying a thin coating of a plastic material on the front surface of your teeth. Depending on where the resin is placed, the restoration could last up to 10 years, but I usually tell people 5 years. While they may not last as long as desired, the main advantage over silver fillings is the esthetics. Because silver does not stick to teeth, a large portion of healthy tooth structure is usually removed to keep an amalgam filling in place. Whereas composites permit your dentist to remove only the decayed area of the tooth. Also, composite bonding expands just like your teeth and are much less likely to cause cracks in your tooth. The disadvantage is bonding with composites simply costs more in time and material. If you would like to know more about composite bonding or whether this is the right solution to enhance your smile, feel free to contact our office for a free consultation.